John Roach is a California born, Brooklyn based artist who is most happy when he’s jamming things together that don’t seem to fit. 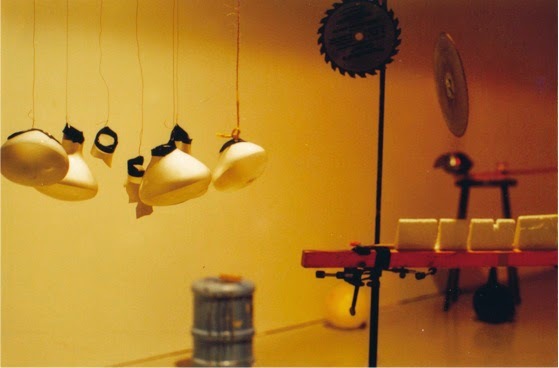 With a playful use of materials, he sets procedures in motion that are not easily controlled: viewer-activated robots create a score for live musical performers; the fluctuation of the internet is harnessed to drive a sound composition; books are made to turn their own pages; foil from chocolate coins discarded by gallery visitors is used in a wind-controlled installation. These are just some of the tactics he has employed to coax indeterminate outcomes. 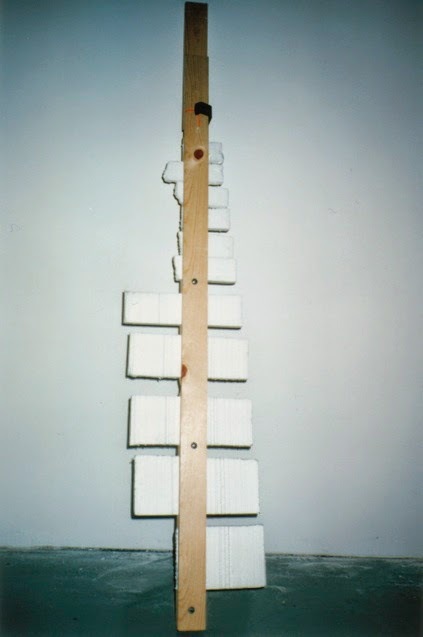 John started making Instruments while studying for his Masters Degree in Painting at Hunter College in New York City. The original impetus was simply his interest in challenging music and sound works. 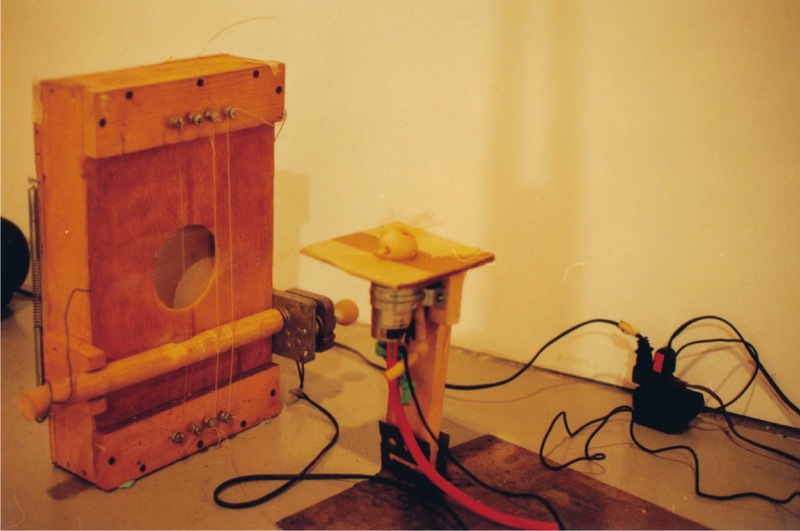 Halfway through his degree he switched gears and started to engage with sound in his work. 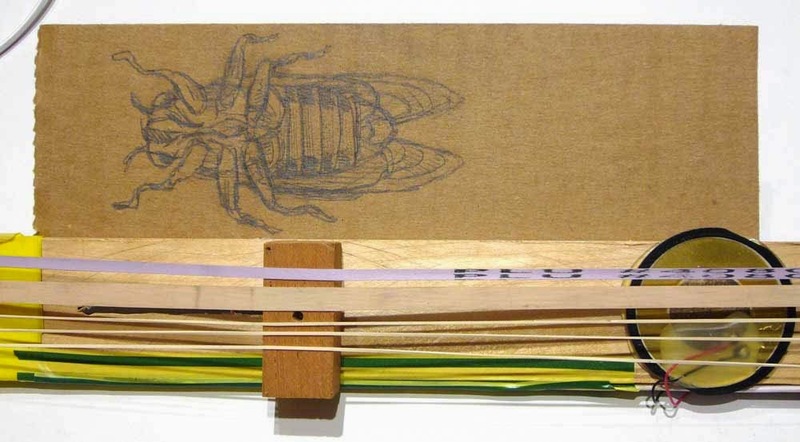 Bandophones are amplified instruments created with rubber bands. 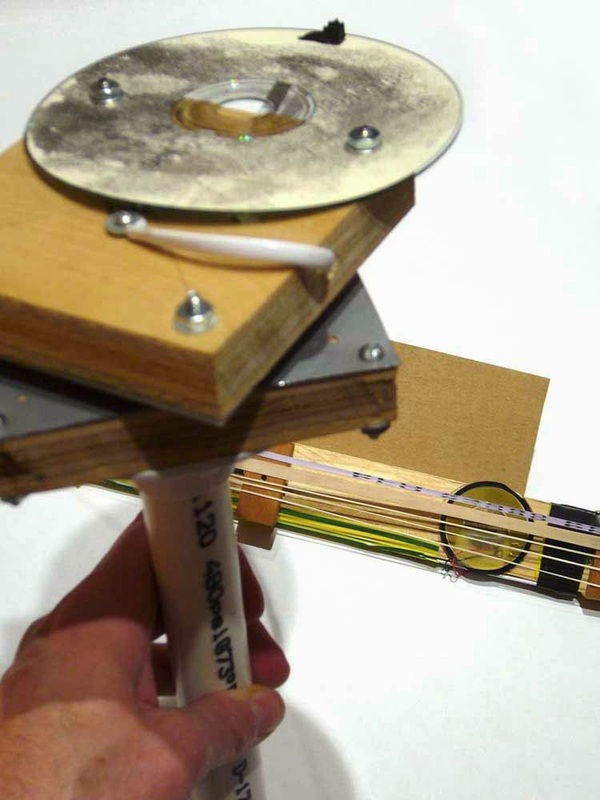 The simplicity of materials is appealing; who as a child has not created a guitar from a tissue box and some rubber bands? 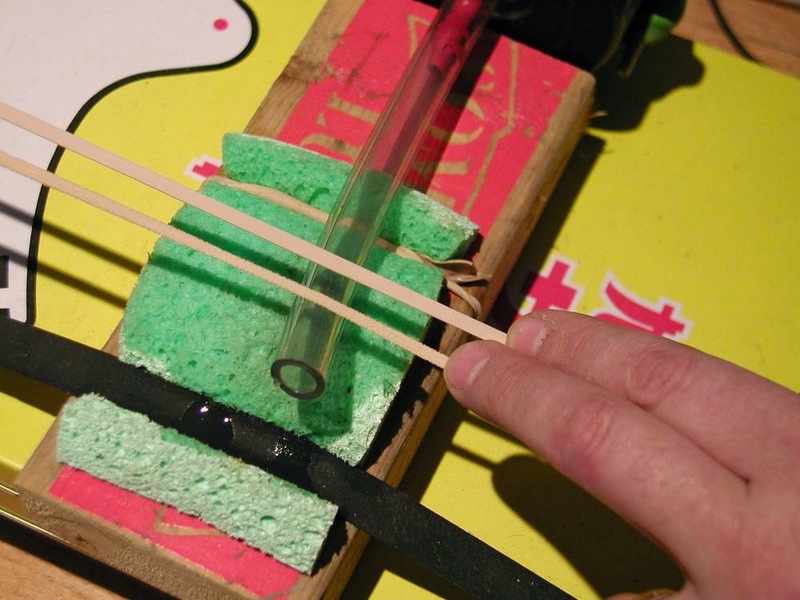 But the materials can also elicit some surprising sounds when played in unorthodox ways. 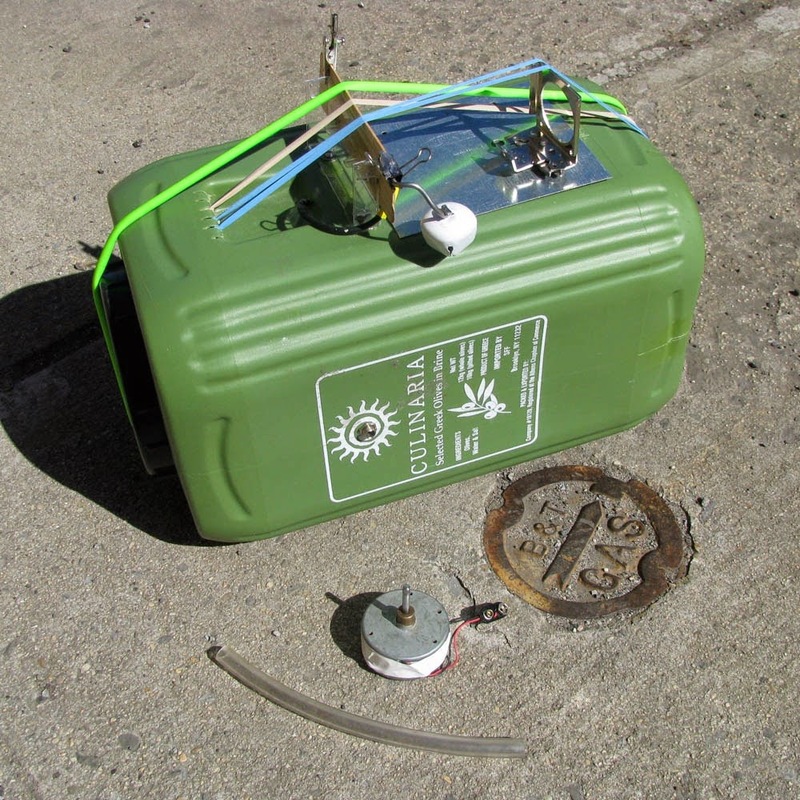 When played with a smooth shaft of a motor and lubricated with some water, they sing and croak and wail. 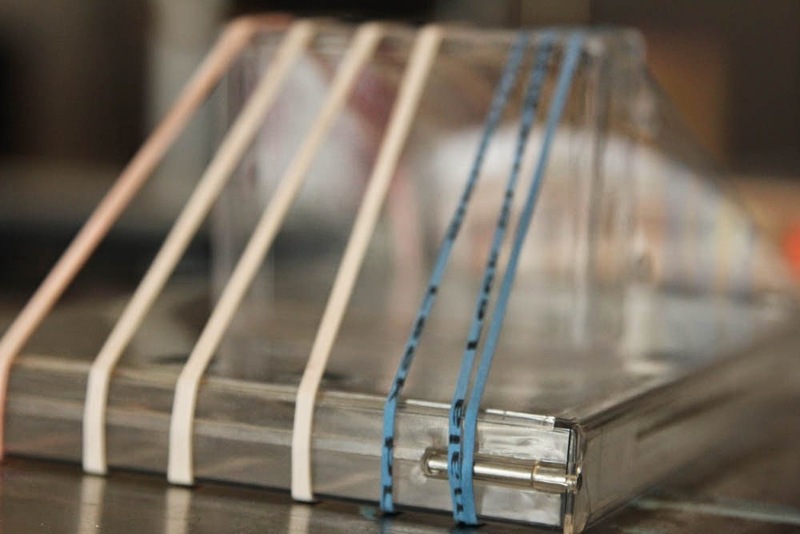 It is certainly possible to get notes from the instrument and tune it, but the nature of the elastic is that it falls out of tune quickly and tends to have a mind of its own. This is one of the reasons is attracted to this construction, it is hard to control. 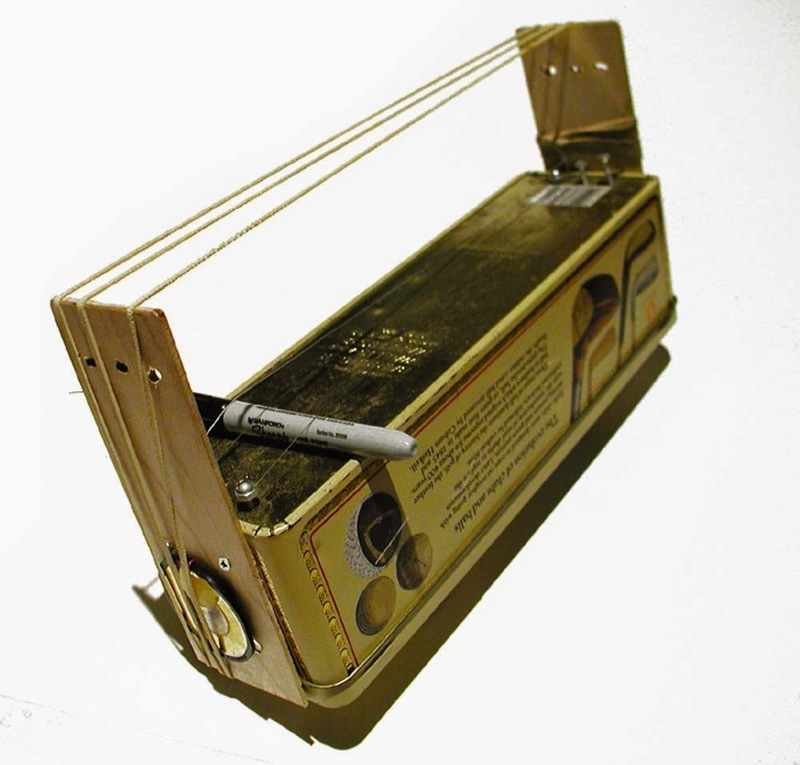 He has been making bandophones since about 1999. 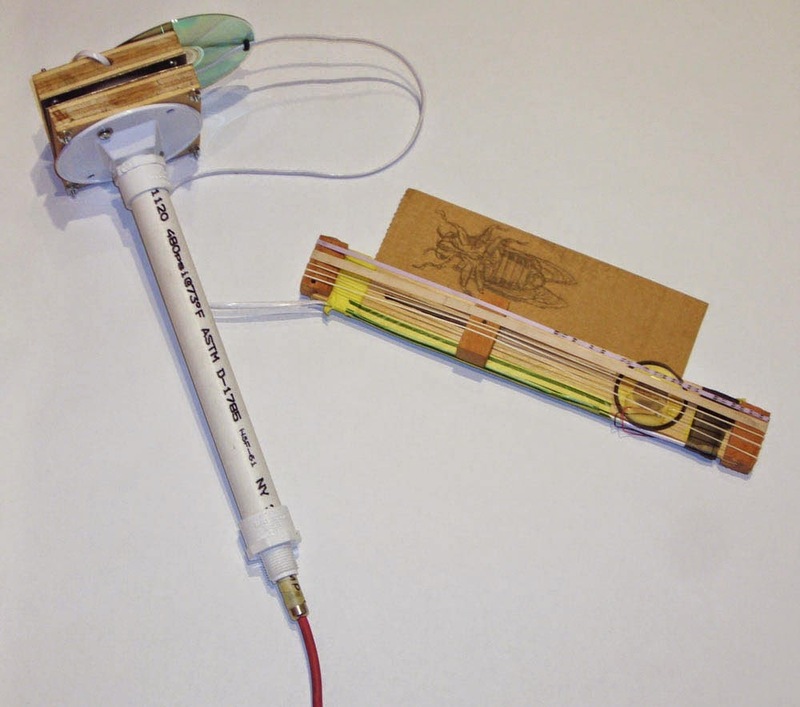 The Bandofly follows in the footsteps of the Bandophone – its sound is generated by the vibration of rubber bands, but in this case they are excited not by the spinning shaft of a motor, but by wind. 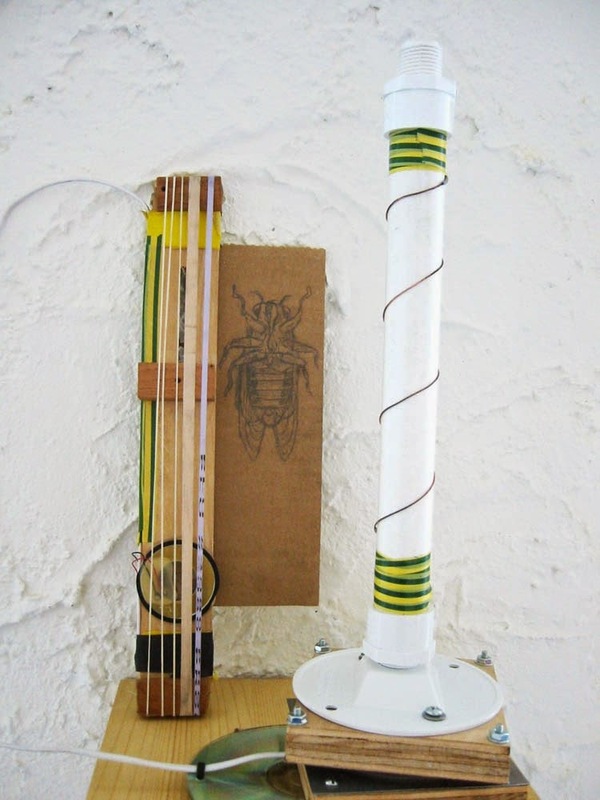 The instrument was created initially when he was given a toy called a bee buzzer as a gift and he wondered if he could make an amplified version. 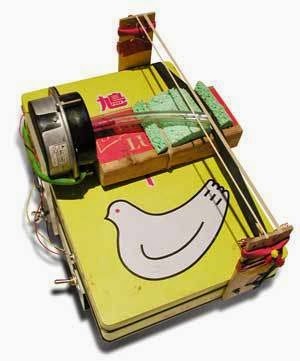 This led to a number of experiments and iterations of the device, and like the Bandophone it rarely sounds the same way twice.  Surface (with Joshua Marks) – Sweet Lorraine Gallery, Brooklyn, NY. 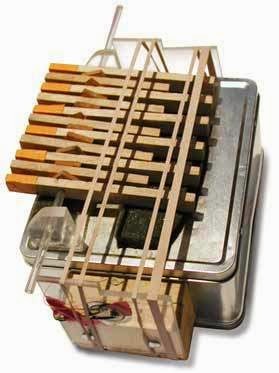  Robo-Improvisation Arena. (with Käthe Wenzel) Alma on Dobbin. Brooklyn, NY.  1996 Hunter College. MFA Painting.  1992 Rutgers University. BA English.